Money launderers “go global” by exploiting legal and knowledge gaps between jurisdictions. Governments and industries around the world must collaborate to deter them. CFEs advising them must have a comprehensive understanding of international money laundering techniques. International money laundering, part 2 of 2: The role of the U.S.
International money laundering has become a key tool in facilitating the growing prevalence of human trafficking. The author outlines how the U.S. has entered the fray and the challenges facing it and the international community. Meric Bloch, J.D., CFE, PCI, CCEP, VP-Compliance and Special Investigations, Adecco SA, gives key points to remember when working with prosecutors. 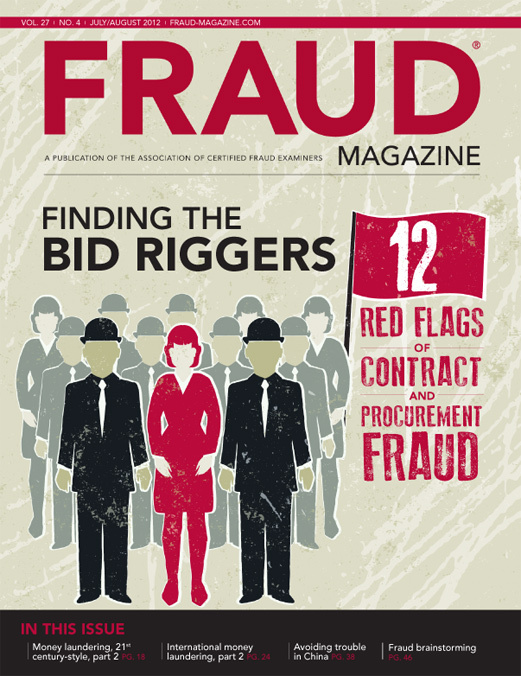 The rise in contract management and the outsourcing of goods and services has created an increase in procurement fraud. 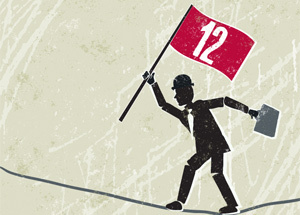 Here are some red flags that can help you save millions. In the last three decades, China has shown stunning economic and social progress. However, its super achievements have come at a cost — the dramatic resurgence of corruption and widespread fraud. Here are ways that multinational companies can keep out of trouble in China. Audit plans have to be designed to find fraud. Here’s help for your team on fraud brainstorming: delving into the details, thinking like a fraudster and using the knowledge of the processes to increase awareness of where frauds may be hiding. What do you think of the new Career Connection column? I didn't notice the column. Dodd-Frank whistleblower: A philosophical change, or is the government fed up? When is fraud, waste or abuse something or nothing? Derrick M. Copeland, CFE, Vice President Chief Security Officer/Facility Manager with The Palmetto Bank in Greenville, S.C.